If I ever need removals again I know who I'm calling. Denmark Removals are fantastic! And so cheap. The behaviour of the movers at Denmark Removals Services assured me of a good move. The movers did not give me any challenges while they were the ones solving problems. I felt like they had the solution to every difficulty. Welcome To The Most Professional Removals Company In Europe! Everyone will tell you that moving house is a difficult process. From the moment you make the decision there are numerous obstacles to overcome. Even people who are just moving down the street with tell you about the stress they endured, so how bad is it going to be if you are moving to Europe?! Well the good news is that you have something that they didn’t. You have Denmark Removals, a specialist to guide you through the pitfalls in the complexed process of moving across borders who will help you to get set up in your brand you place in London, in Denmark, or for that matter anywhere across Europe. Don’t let the name fool you, we cover the whole continent so get in touch today on 020 8746 9610 to find out more or keep reading! When you are undertaking something for the first time, particularly on a large scale you want to have experience on your side and this is no different when you are moving to - or from Denmark - from the UK. Along with all the usual issues there are the problems of language, the issues with unfamiliar paperwork. You are supposed to be able to deal with this while you are under the stress of moving house and leaving behind everything that feels familiar and safe, so what can we do to help. We approach each move from two angles. First of all there is the stuff that doesn’t change. Our experience means that we know inside out the intricacies of moving across continents. We know everything there is to know about customs and about paperwork, right down to the correct details for parking in individual parts of Denmark and who needs to be contacted to get the relevant permits. Moving house is challenging enough without feeling completely alone throughout, so let us deal with the issues with you. While our experience can take care of a lot of the difficult issues it has also taught us that every moving process is different. Two houses with the same layout are filled with different possessions, different memories and are owned by two sets of people with very different needs. That is why our basic service is so thorough in the planning stages to avoid surprises, and why our optional services are so flexible to tailor to your own personal needs. The moving process itself starts with our removals assessment, where we measure and calculate exactly what you need. This is all part of our free quote which means that we aren’t going to surprised on moving day. When a moving company is surprised, the costs mount up quickly and so does the stress, so we go out of our way, even before you hire us to cover every single base and accurately formulate a plan of what you will need in terms equipment, manpower and vehicle space. It keeps costs and stress to a minimum. On moving day itself our staff are trained not only in the importance of being clean, tidy, quick and professional, but also in showing the respect our customers deserve. After all, you need support at a time like this and we are proud of all our men and women who show up every day with pride in their work and willingness to extend our mantra of respect to our customers. You’ll notice that pride in our clean, well maintained and secure vans as well, so that if your move will take a couple of days you can sleep easy, safe in the knowledge that all of your possessions are safe in our Fort Knox style vans. That’s the stuff you are guaranteed, but you don’t want to be looking around for additional services when time is at a premium, so we have them all under one roof. Our packing services teams are just as courteous as our removals experts; all knowledgable in the mechanics of their field but with an understanding of the personal investment you have in their work emotionally as much as financially. Our cleaning teams will leave your old place in perfect condition for the new residents and if you need some storage we can take care of that for you as well. A lot of companies will say that they are a ‘one stop shop’ for continental removals, but how many can follow through on that offer like we can. From our London base we are the leading company for people looking to move house to start a new life in beautiful Denmark, but if you are heading the other way then it goes without saying that we can still help you out. 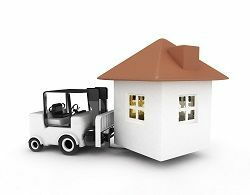 As our business has expanded we have also gained an unrivaled knowledge about the different requirements of moving house right across Europe, from Paris to Rome and Madrid to Helsinki. Some companies claim to have local knowledge, but all of Europe is our back garden, so even if you are only moving across England and want the security of a company who knows how to handle the big jobs then you know where we are. You are probably thinking that it all sounds great, but where is the proof? Well have a look around our website for the full list of services available and then get on the phone and give us a call on 020 8746 9610. Our team will be happy to give you a list of testimonials to help you make your mind up. Here at Denmark Removals we want you to be happy, so take your time and do your research, because we are confident that you won’t find anyone who is better equipped to help you move across the continent than we are. Company name: Denmark Removals Ltd. Description: Based in London Denmark Removals offers cheap and reliable removalist service all around London, UK and Europe. Providing packaging and moving of household goods and furniture.